When I was growing up there was a shop on our local high street that was forever closing down and then reopening the following week selling a slightly different collection of crap. Every few weeks it would have a different name and different stock, the only thing that remained constant was that whatever it was selling was undoubtedly crap. Up until now, I’ve always assumed that shop was a failure. I mean, it must have been, right? Why else would it keep closing down? But maybe it wasn’t. Maybe, in fact, it was just before its time. Maybe it was offering us a glimpse into the future, into the brave new world of the 21st century. Maybe, just maybe, it was the world’s first Pop-Up Shop. I hate Pop-Up Shops. Just seeing those three little words written down makes me want to pick at my eyeballs with a rusty fork. Actually, to be more precise, I don’t hate the shops themselves. I hate the term. I hate Pop-Up Restaurants as well. It’s all so ‘on trend’. And I hate myself for typing that too. 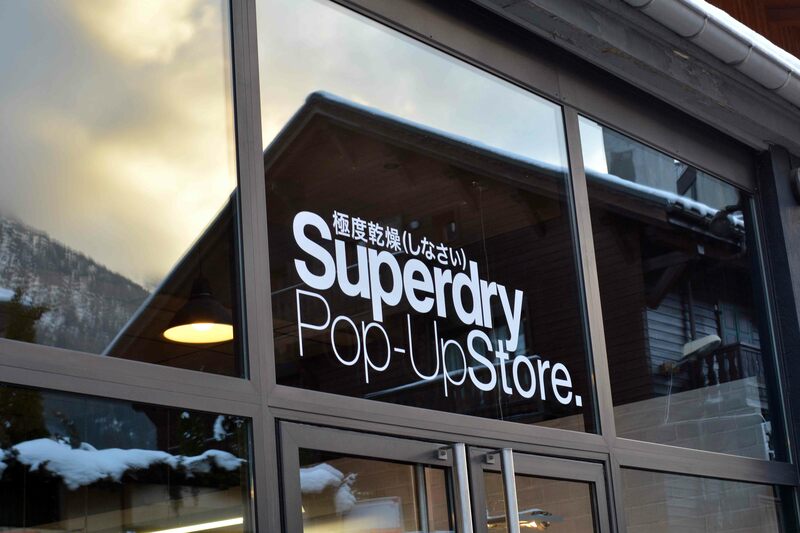 We were in Chamonix last week and I was unfortunate enough to lay eyes on the only thing I hate more than a Pop-Up Shop (no, not someone taking a photo with an iPad, though that comes in a close third…), a shop that has started calling itself a Pop-Up Shop despite having been there for several years. A fake pop-up shop. Just a shop. But one whose owners so desperately want it to be seen as a cool that they thought it best to call it a Pop-Up Shop. Seriously. It turns out it’s not a Pop-Up Shop after all, it’s a Pop-Up Store, which is even worse! In preparation for Pop-Up’s eventual arrival in Italy, assuming it’s not here already, I’ve decided the only way to keep my sanity is to embrace the ridiculousness. Give Pop-Up a big, warm hug and welcome it into my life. So, that’s what I’m going to do. From now on, this blog is a Pop-Up Blog. And it already feels good. Much cooler. More on trend. I won’t be taking photos of anything with my iPad though, you have to draw the line somewhere. Ha ha ha. I know what you mean. We have a shop in Certaldo that keeps reinventing itself; childrens’ clothes, then hunting shop, then lingerie, then kitchenware and they always have a sale on! For me the worst shops are ‘Outlets’ which can be anything from genuine designer warehouses to an industrial unit with next to nothing for sale. I consider my time very valuable and could spit drawing pins when I discover after parking, that I have walked into a room full of rubbish! As someone who is allergic to retail therapy in any form, I have absolutey no idea what a pop-up shop is. I know about pop tarts, though. I recommend them as an alternative. Now there’s an idea… a pop-up pop tarts restaurants. I’m on it. Let me know when your pop-up pop-up shop opens up (I’m a poet and I didn’t know t. Hurrah). Pop Up just sounds like it could start playing annoying and spammy ads to matrimonial sites or viagra. I wish there was a pop up blocker. Poor you. Should I ship a scarf and wayfarers to you? If you could please, that would be great! I just don’t get it?? It’s not like they are that much cheaper than a real shop/store. What is the point of them? Nope, same here… they tend to be more expensive than regular shops in fact, purely because they’re cooler. Maybe Italy will just refuse to play. I may be mistaken but there are only a few McDonald’s there – in my opinion, it’s crap masquerading as food – is that the case? There are quite a lot of McDonalds here these days, sadly. There was a bit of an uproar when they first arrived in Rome, and that led to the start of the Slow Food Movement I believe, but these days they’re everywhere. It’s a pleasure, good luck! I hear you. I didn’t know the term was irksome to others as well. My local waterfront park in Philadelphia recently became a “pop-up PARK”! ugh. the same old part that was always there is now a pop up park… I’m so annoyed by it, I find it hard to even go there for functions. I googled “i hate pop-ups” and you blog appeared first on the long list of many diatribes on the subject haha. But why? Why am I so annoyed by this?